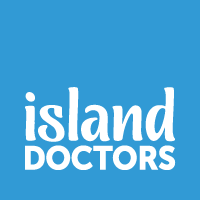 Here at Island Doctors, We believe in stopping you problems before they occur. We don’t want you to have to undergo an invasive surgery or be dependent on pills. We want You to live your life to the fullest. We offer many custom services and other bonuses through Humana Medicare to our clients, so stop by some time and let us show you the Island Doctors Difference. You’ll receive a free gift basket just for taking the tour! Here you can find all you need to know about what has been going on at Island Doctors and the specialized services we offer.